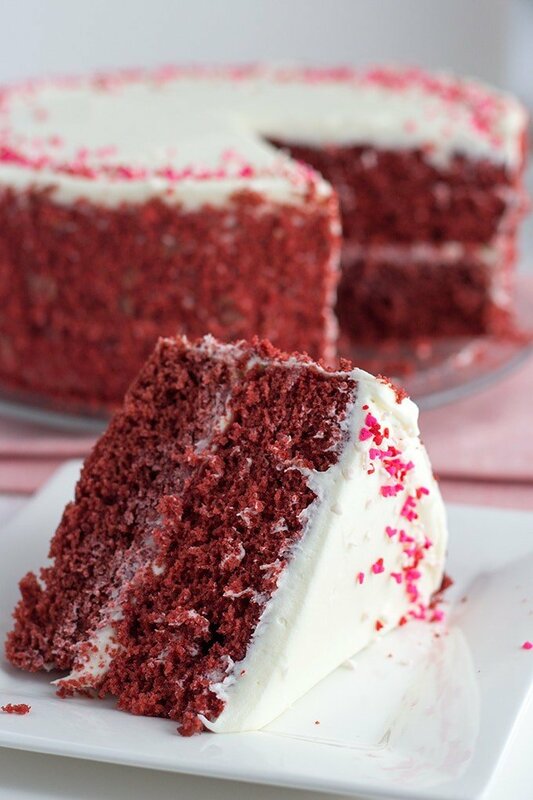 Gorgeous Red Velvet Cake with White Chocolate Frosting! Do you see those two smiling faces in the background picture? 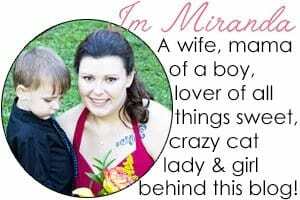 That would be me and my husband the day after he proposed to me. We were in the botanical gardens in that picture, but he proposed to me beside the falls in Niagra Falls, NY. They were beginning to light the falls and everyone was gathering around to see. There were far more people that I care to have in the same area at any given time. We had just ate a fancy dinner and had walked down to see the falls ourselves when it happened. He got down on one knee and I think I probably turned many shades of red at that very moment. My exact words to him that he won’t let me live down are quite epic. They are as follows, “Yes, yes, just get up!” That followed with the ginormous crowd clapping and congratulating us. It was one of the very best and most intense moments of my life. He loves the attention and I hate it. He’s a Taurus and I’m a Scorpio. We are polar opposites, but still a pretty darn good team together! You’re probably wondering what that has to do with this post. Well today, folks, is our 5 year anniversary. That’s right, we’ve been married five years now, the day after Groundhog Day. So, for a little celebration, it’s only appropriate to make one of Wesley’s very favorite cakes. I cannot get enough of this deep red color. Not only is it perfect for anniversary celebrations, but for Valentine’s day too. Since Valentine’s day is coming right up, get in the kitchen and make this for your sweetheart. In a medium microwave-safe bowl, add in white chocolate chips and heavy cream. Microwave for 30 seconds and stir. Repeat 2 additional times or until the mixture is completely smooth. It will take a minute or two of stirring for the heavy cream and white chocolate chips to incorporate. Cover with plastic wrap and place in the fridge to cool until firm. It should take about 1 hour. Meanwhile, work on putting the cake together. Once the ganache has firmed up, remove it from the fridge. If it's rock solid, it needs to sit out to take the chill off and loosen up or you'll burn out your hand mixer trying to mix it. You want it to hold it's shape, but not be super hard. Mix the ganache with a hand mixer on medium until light and fluffy. Add in the butter and continue to mix until incorporated. Add in the powdered sugar and milk and mix on low until the powdered sugar is almost incorporated. Turn the hand mixer on high and mix for an additional 2 - 3 minutes until the frosting is whipped. Preheat oven to 350 degrees. Grease two 8" baking pans with cooking spray. Add in 2-3 tablespoons of flour and tap it to cover the pan's sides and bottom. Tap out the extra flour into the garbage. In a large mixing bowl, add in butter, sugar, and vegetable oil. Mix on medium speed until the mixture is thoroughly combined. Add in the eggs one at a time. As soon as each one is incorporated, add another and mix just until each is combined. Measure out the buttermilk and vinegar. Set aside. In a separate bowl, sift the cocoa powder, flour, baking soda, and baking powder. Alternately add the flour and buttermilk mixture, starting and ending with flour. Mix on medium speed until combined. Add in the super red gel paste color* and mix until thoroughly incorporated. Divide the batter into two 8" prepared pans. Bake for 30 minutes or until done. Use a toothpick and insert it into the center of the cake. If it comes out clean, the cake is done. If there is batter or moist crumbs on it, let it go for another minute or two. Let the cake cool in the pan for 15 minutes and then turn out onto a cooling rack to finish cooling. 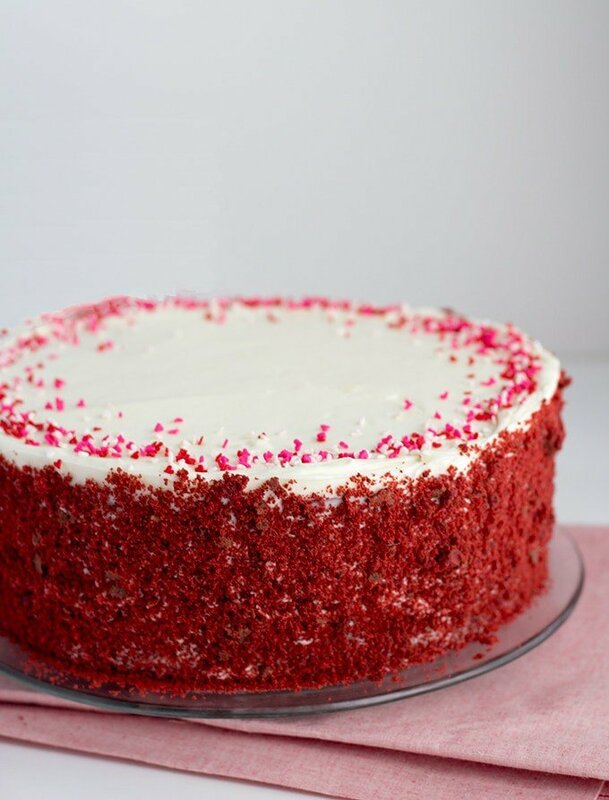 You will need to make an additional batch of the cake recipe to have enough for the cake crumbs and you'll also only use one layer of the cake. Feel free to freeze the other layer for cake pops or a cake milkshake. Crumble the layer cake on a large sheet pan that has sides on it. Place in the oven and bake for 30 minutes or until the cake is crunchy. Give it a stir occasionally. You want it to dry out the cake, not to brown it. Once the cake is completely cooled, add the first layer of cake down on a cake platter. Add a layer of white chocolate frosting on the first layer. Make sure the frosting is even. Place the next layer of cake on the frosting. Place a huge dollop of frosting on top of the cake. Spread the frosting nice and even on top and work the excess frosting over to the sides. Spread the frosting out to cover the sides. It won't have to be perfect because the crumbs are going to cover all the flaws. With a pan underneath the cake to catch the excess of crumbs, start placing handfuls of cake crumbs on the side of the cake. Be careful not to get any on the top. Tap the sides of the cake platter to help release any additional crumbs that aren't attached. Sprinkle some cute heart sprinkles* on the top of the cake and serve it up for Valentine's dessert. 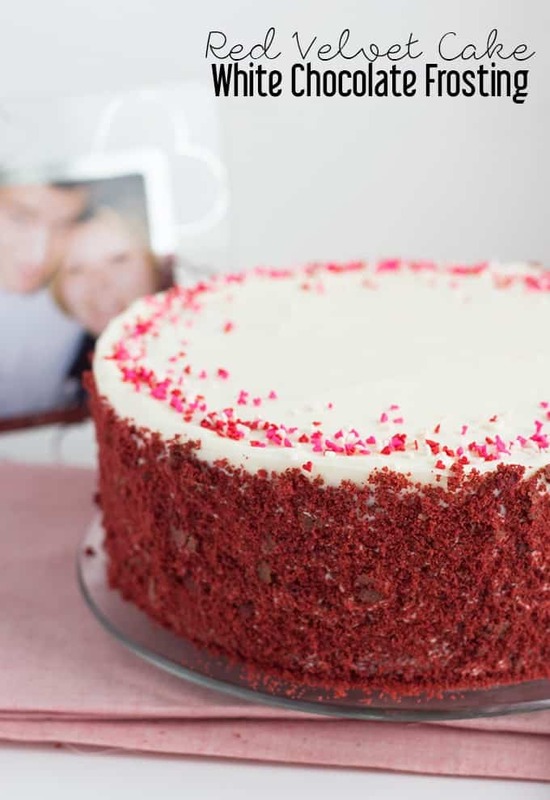 Have you ever made a red velvet cake from scratch? 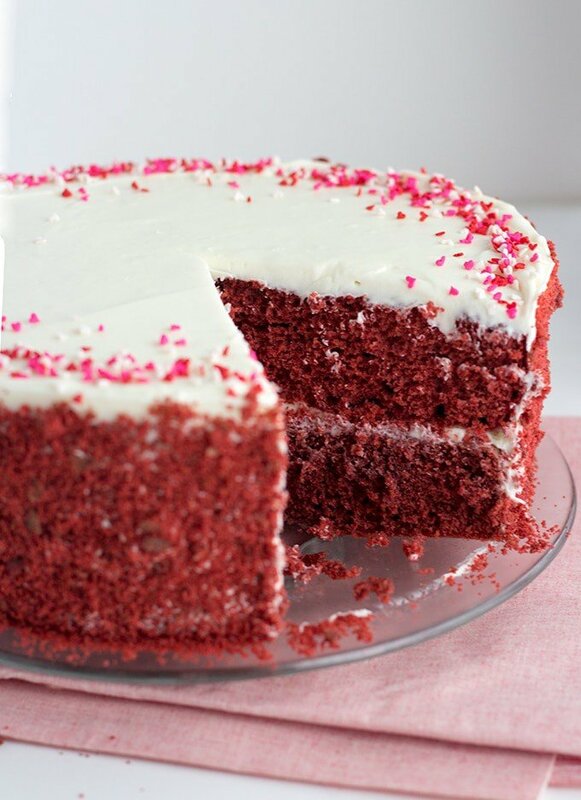 What’s your favorite frosting for a red velvet cake? *This post contains affiliate links. Cookie Dough and Oven Mitt is a participant in the Amazon Services LLC Associates Program, an affiliate advertising program designed to provide a means for sites to earn advertising fees by advertising and linking to Amazon.com. What a stunning cake! I love the simplistic way you decorated it, especially since it still really pops with color. And Happy Anniversary…cheers to many more happy years for you! Yes, Yes, just get up!! I love it! Happy anniversary! My in-laws share the same wedding day you the two of you. What a great celebration cake! haha! Thank you so much! I hope your in-laws also had a fantastic anniversary! Love your reaction: “Yes, yes, just get up!” Beautiful cake and the tiny heart-shaped sprinkles are really sweet. I would like to put that white chocolate frosting all over Ryan gosling and lick it off. Too much? LOL!!! 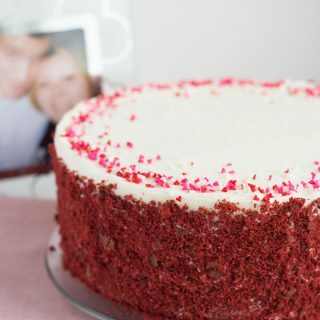 I love red velvet cake, but would you believe I’ve never made one? What’s that about? Anyway, yours looks delicious! And happy anniversary! Thank you! You need to change this not making red velvet cake business! Wow, this cake looks gorgeous! My mouth is watering. 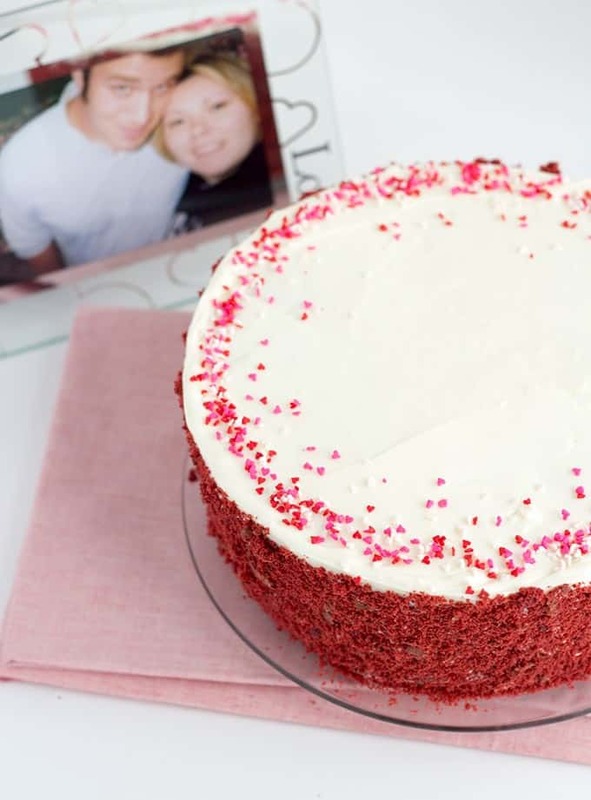 My husband is a huge fan of red velvet – I think I need to make this! Yes, you need to make this! He’ll love it for sure! And please don’t forget to complete my Reader Survey. Aww, K! Thank you so much! Happy Anniversary!! What a wonderful and delicious way to celebrate! Looks fantastic! Thank you, Mischa! It was perfect! This cake is gorgeous! And happy anniversary! 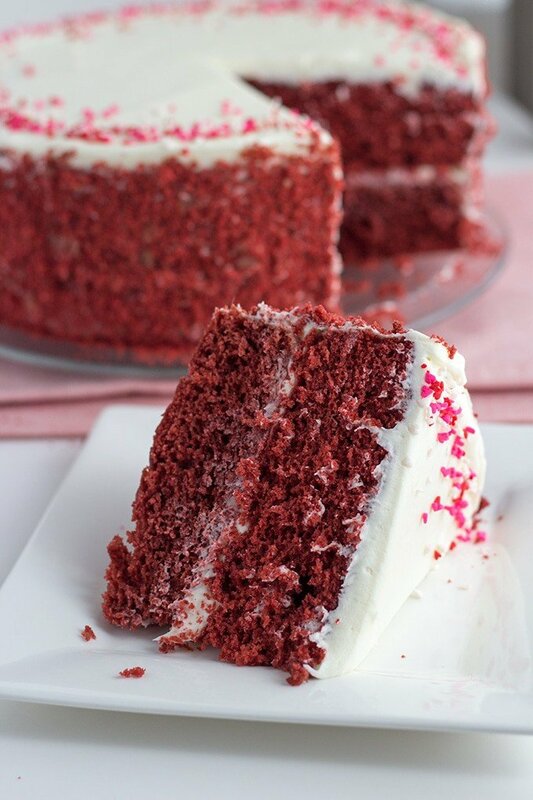 Beautiful cake…and no, I’ve never made a red velvet cake! Thank you! It’s like any other cake. Thank you, June! I loved using the cake crumbs. It was so quick and easy and made my job simple! This looks SO good! I’ll take an extra large slice please!